Our Durable Commercial Molded Resin Bases are perfect for large umbrellas used in both residential and commercial settings. Available in five versatile colors, each base is individually boxed and unweighted to keep shipping costs low. Once weighted, these bases offer slightly more than 95 pounds of heavy holding force for any umbrella. 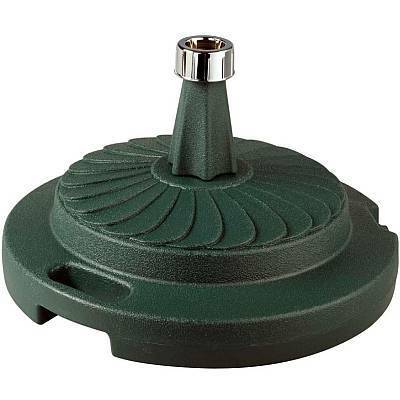 Each Resin Umbrella Base features a chrome locking screw-on cap to hold the sand securely inside the molded resin body. 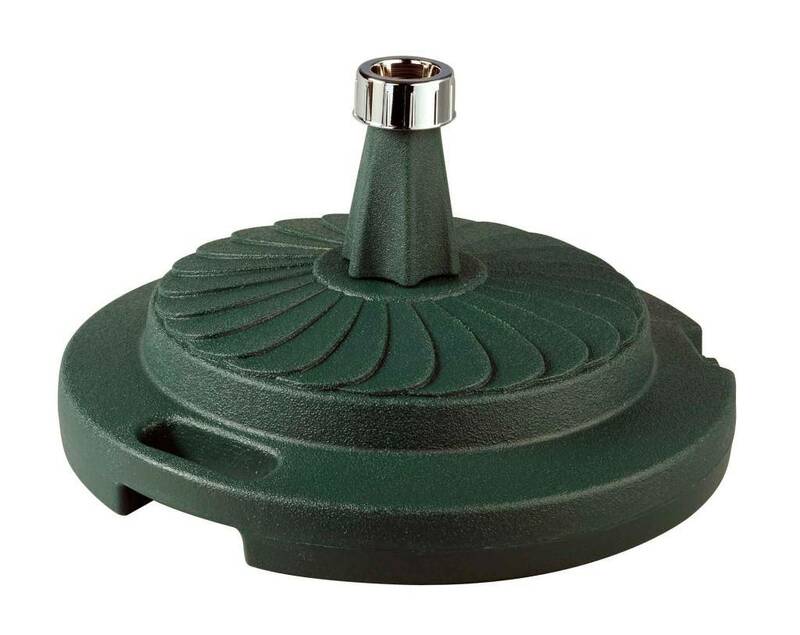 The locking screw-on cap makes it convenient and easy to fill the base with sand, pebbles, or another material (filler material not included). Each umbrella base is rust resistant and will not mark up patios or decking. The Smooth Glide Roller makes moving the base easy.